Happy Sky Watch Friday everyone. 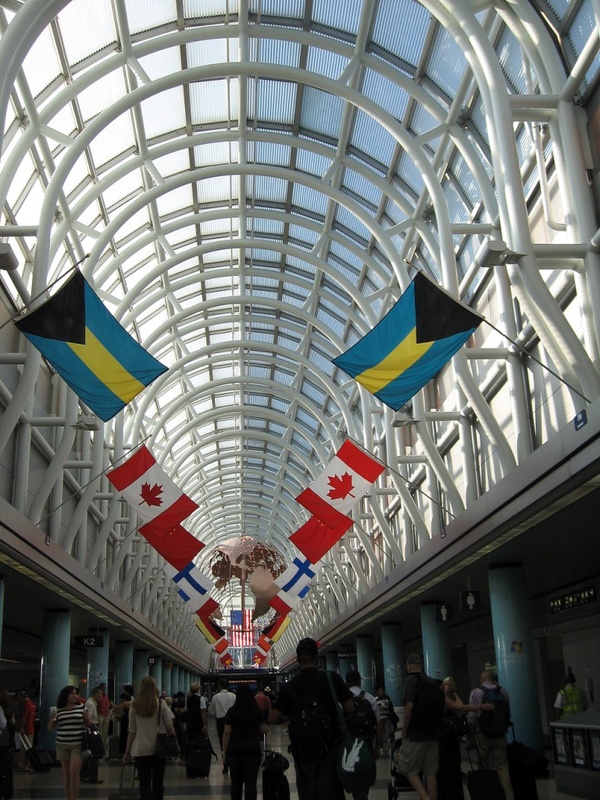 This picture is from Chicago airport full of people scurrying off to someplace at the end of the hall is a great big metal globe that reminded me how small the world is some days. For the last few weeks I have been mostly viewing the sky from inside airports and buildings. Click the link to see what bloggers from all over have found in their skies this week. 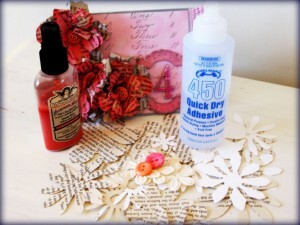 Added a tutorial to the Helmar site this week on making shabby chic flowers to quick and easy way. And speaking of shabby chic, I was lucky enough to spend some time with Melissa Frances at the CHA in Chicago. 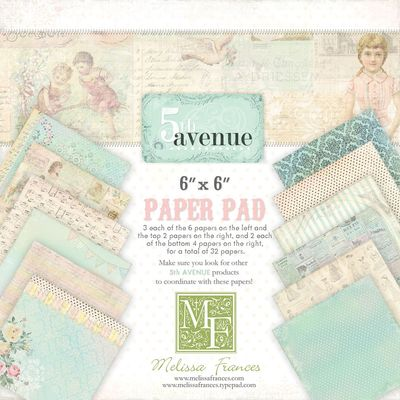 It was really nice to see her looking well and telling the story behind her new range of papers called 5th Avenue. Loving these pretty shades and can’t wait till they ship down under to Australia. That is one of my favourite quotations! I love Louisa May Alcott :o)<br /><br />O&#39;Hare is quite an impressive place, isn&#39;t it? So bright and airy despite being so huge!!! I know this &#39;scene&#39; well [lived there 16 years] but you have really made it even more interesting.<br />p.s. Louisa has been my lifelong hero!<br />Happy Skywatch Friday, Mandy! 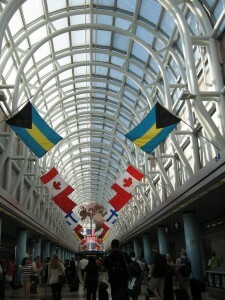 Wonderful shot of airport with seies of flags. I love the quote and that&#39;s such an interesting shot. Beautiful. Planes and pigeons mostly :-)<br />could have done with a cover like you are showing. Great quote!! Boom &amp; Gary of the Vermilon River, Canada. This hall looks so narrow. But all that sunlight sure brightens up the whole place. I love ceilings like these. Very good photography.<br /><br />Regards! Nice shot Mandy. Hope you don&#39;t get jet lag. I like this quote! Nice photo!